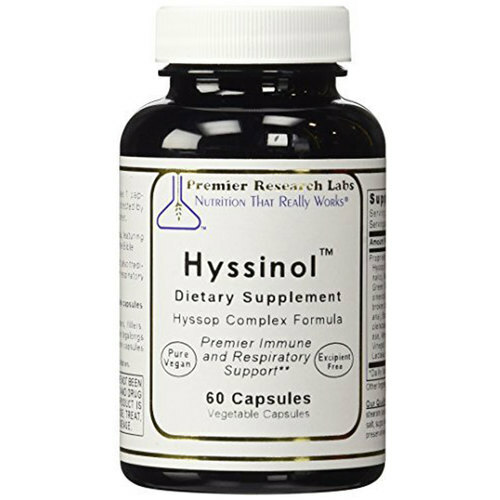 Premier Research Labs Hyssinol contains no added stearates. Notas: Pure Vegan. Contains 1 or more Organic Ingredients. No Added Stearates. Recomendações de uso: Take 1 capsule, 3 times daily or as directed by a health professional.